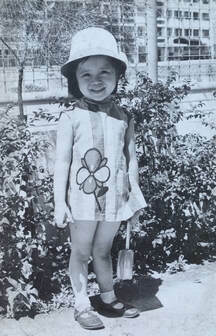 The 3-year-old me that I write for (even the scary stuff)! 1) I have a loom in the living room. My husband keeps saying it takes up too much space and wants to get rid of it, but I tell him that, one day, I will weave magical carpets (or towels, I'm a bit hazy on which) and then we'll see who has the last laugh. 2) My husband has far more clothes and shoes than I do. 3) In 1987, I was offered both a job with Environment Canada and a sponsorship for the Miss Hong Kong pageant. I didn't take either, and I don't know which I regret more. Please see preordering info on the My Books page!